April 20, 2016 | -by: Kevin George. Email marketers have been striving hard to grow their email list organically. Multiple strategies to capture the email addresses are put into effect in order to grow this list. However, a study by Hubspot states that the email databases decays naturally by around 22.5% every year. Now, this raises some attention-grabbing query- What strategies do email marketers take into consideration to clean the degraded list? Well, the most common answer to this is- email list cleaning, done manually will sort the issue of list decay. So, when email list cleaning is done manually, only the bounce addresses, i.e. the email addresses to which bounce emails were sent, and email addresses that have unsubscribed from the mailing list are removed. But what about the email addresses that are inactive? Inactive subscribers don’t even open your emails for a long period of time, ultimately affecting your ROI. Well, for such email addresses, the best practice is to send a list cleaning email asking your email subscribers if they are willing to continue receiving the emails from your company. If they are interested they will set their preferences, if not, be bold enough to remove them from your list, they are not active anyway. But how do you design such emails? Well, Monks, straight from the Monastery present to you some divine list cleaning email templates examples of various companies that decided to take a step ahead to maintain a clean email list. 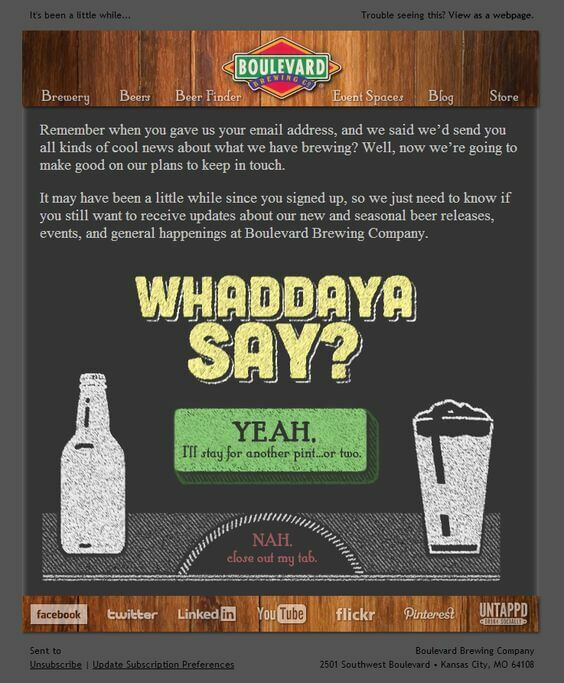 With a wonderful copy and an attention grabbing CTA, boulevard brewing company has designed this email well. The email clearly asks the subscriber if he is further interested to receive email from Boulevard or wants to opt-out. The message from Crocs in this email is loud and clear. 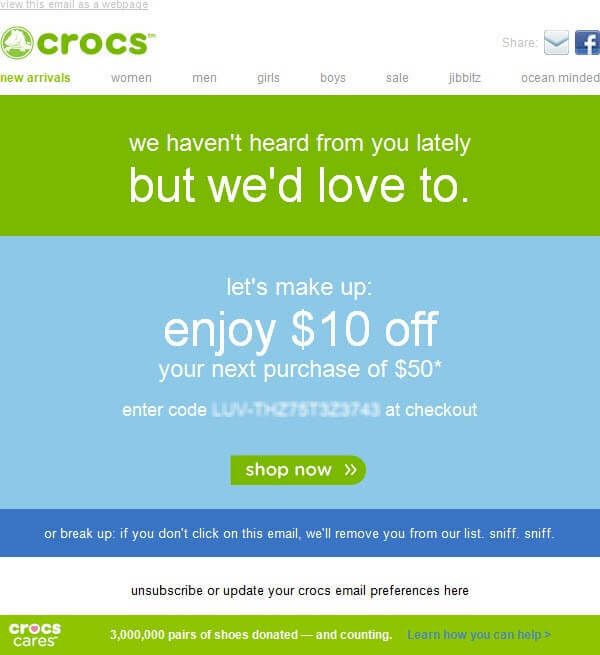 Crocs, in its theme stuck email made sure that the customers don’t get offended, hence offered a 10$ discount as an incentive. And, if the subscribers don’t click on the email, they’ll be automatically removed from the mailing list. 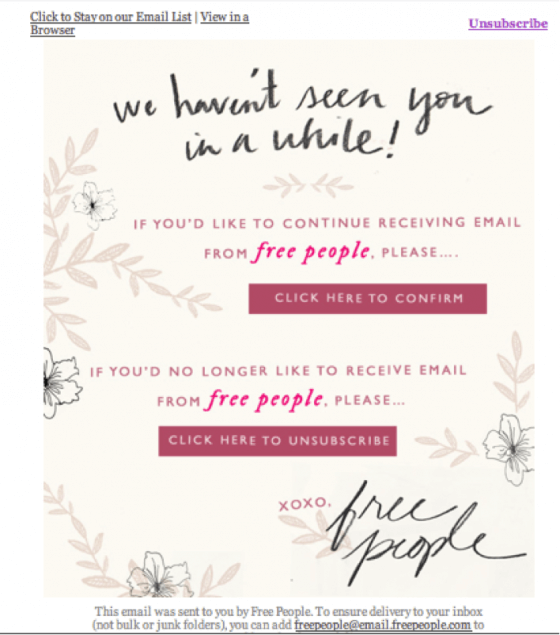 The email design by Free people is crisp and to the point. The preview text in the email has been drafted wonderfully to influence the recipients to open the email. The CTAs are bold and shouts louder what to do. 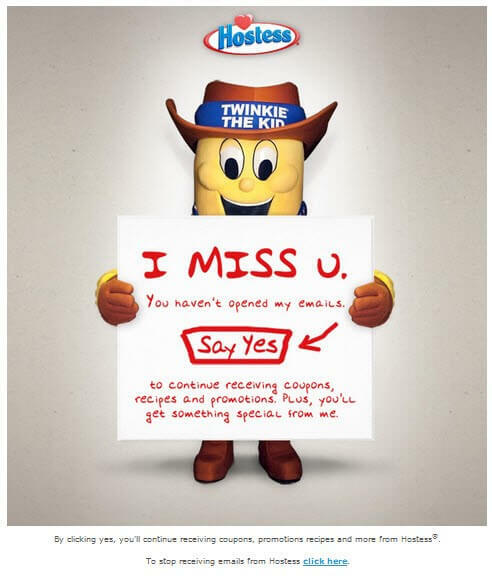 The image used by Hostess in its email is visually appealing makes it hard to ignore. The text and CTA are given a look and feel of a handwritten text which makes this email stand out. The email by JetBlue has all the elements of a perfect list cleaning email. The hero image with bandage on a broken heart conveys the message to perfection. They 3 text based CTAs providing different options for the email subscribers sets an example of how to send an email to get a clean email list for other brands. 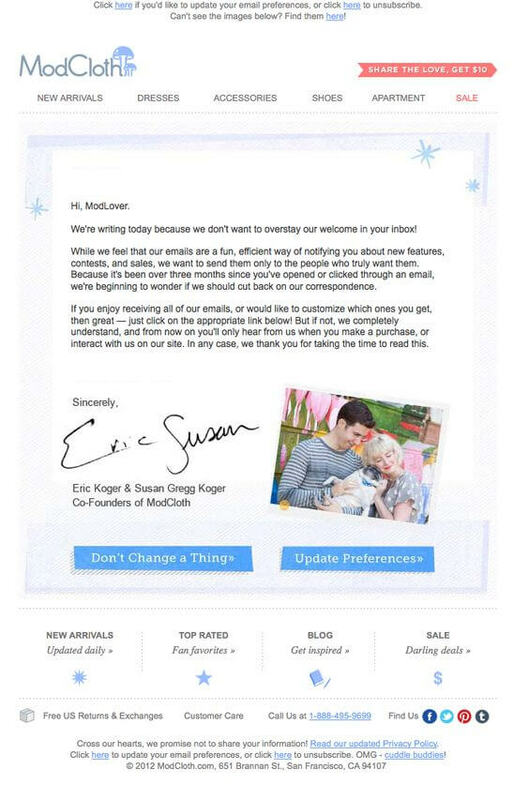 A subtle email design by ModCloth containing the right message makes this email look different. The blue colored CTAs on the bottom of the email grabs immediate attention due to a use of light background color. 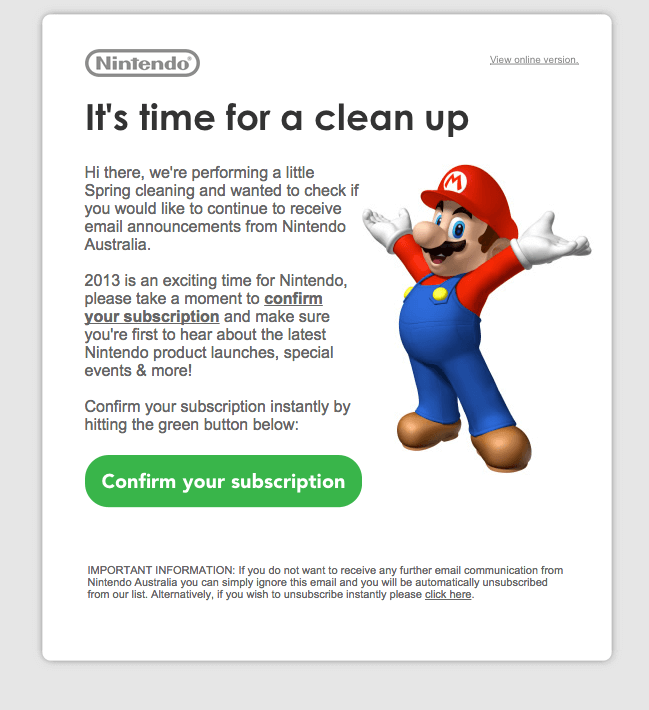 The use of Nintendo’s famous game character Mario in the email makes catches the eyeballs of subscribers instantly. A simple creative can grab the attention without any hassle. 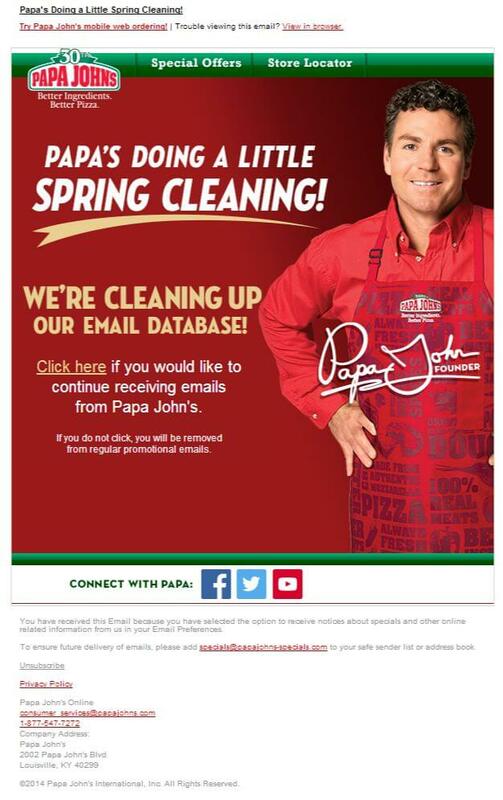 A beautiful email design by Papa Johns along with minimal text to deliver the message. A straight forward CTA has been provided for the recipients to click if they wanted to continue with the email subscription. Sidekick took a very smart approach in its email here. 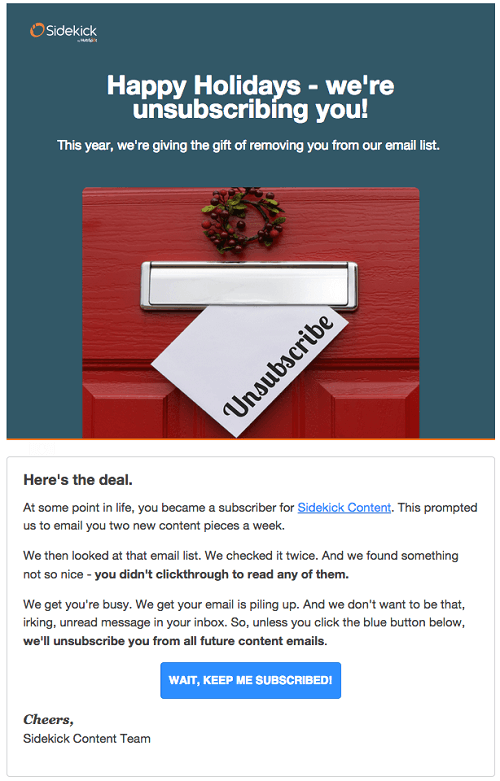 They sent this email during the holiday season and offered to unsubscribe the recipient as a holiday gift. The CTA used in email is crisp and self-explanatory. 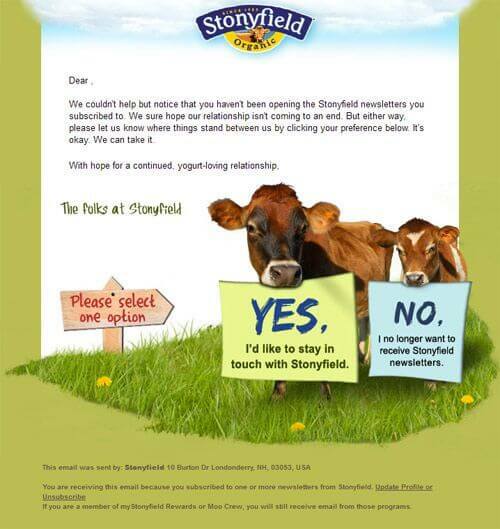 The email design by Stony field complements the product they offer. The yogurt maker magnificently placed the CTAs in the mouth of a cow with clear messages, thus making it difficult for readers to miss.